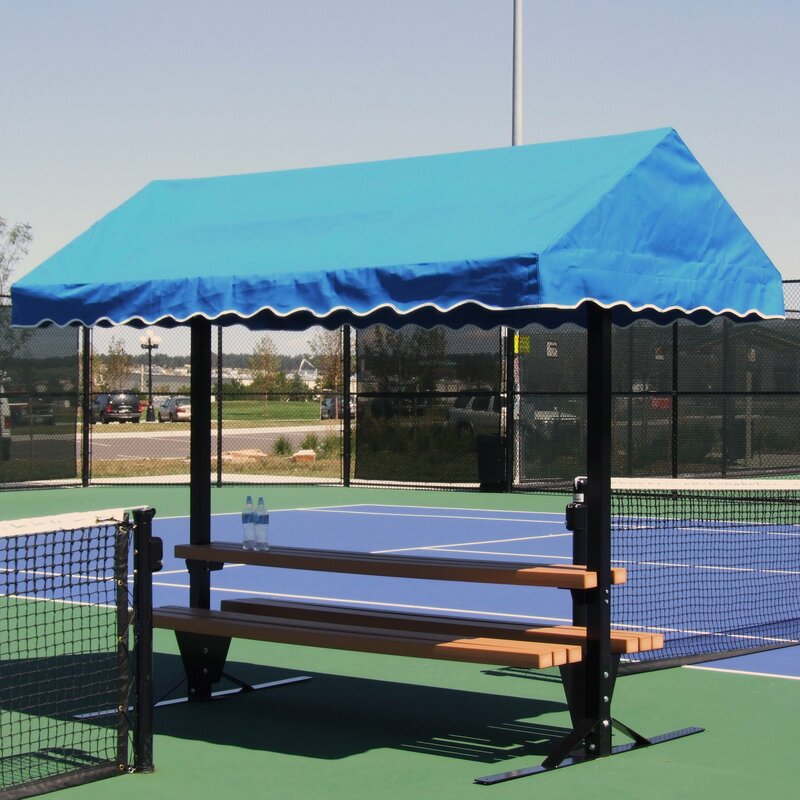 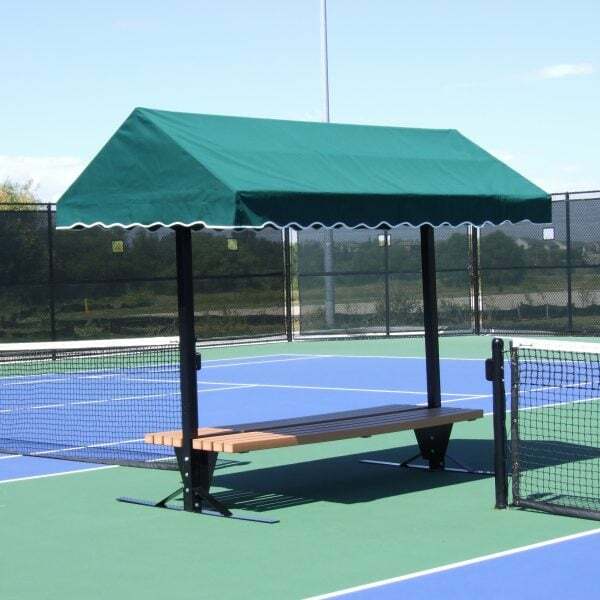 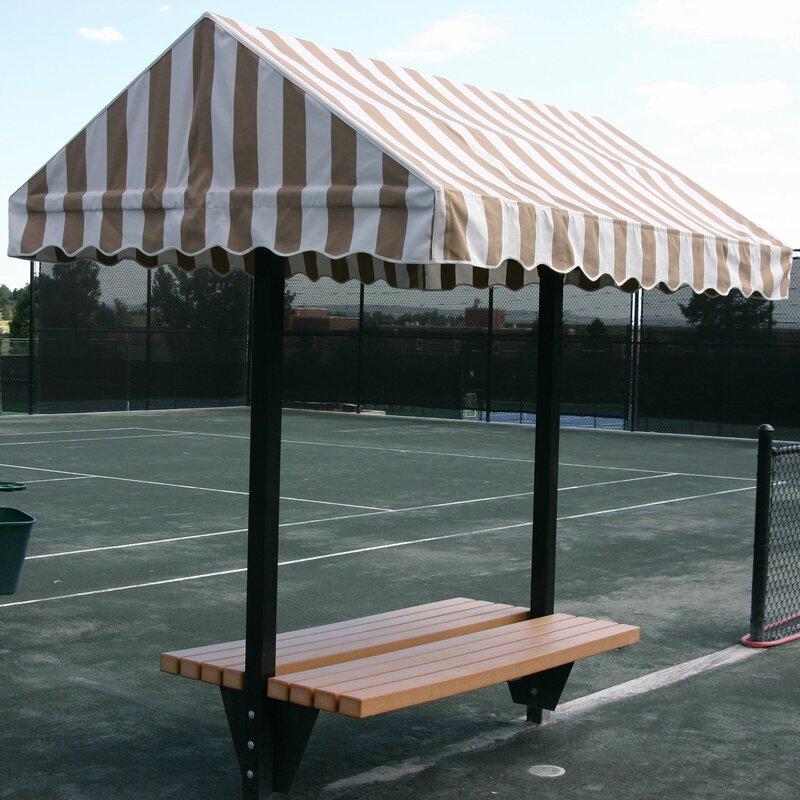 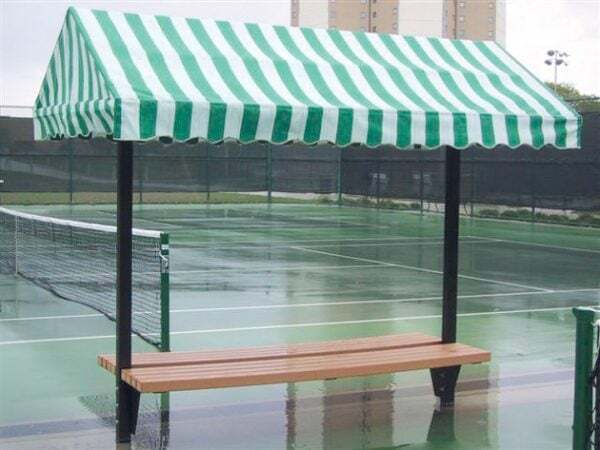 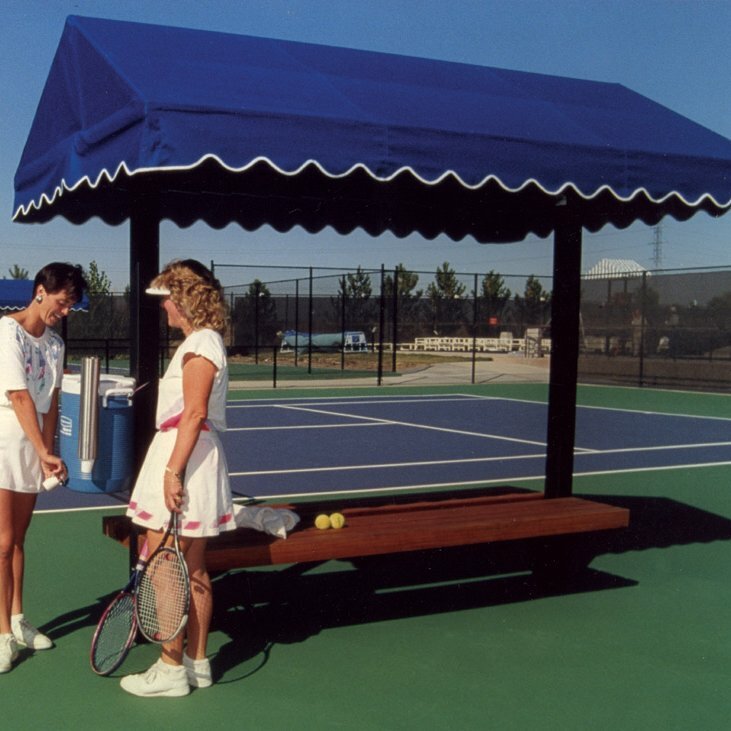 The Covered Cabana Benches are an attractive way to improve the look and functionality of your court. 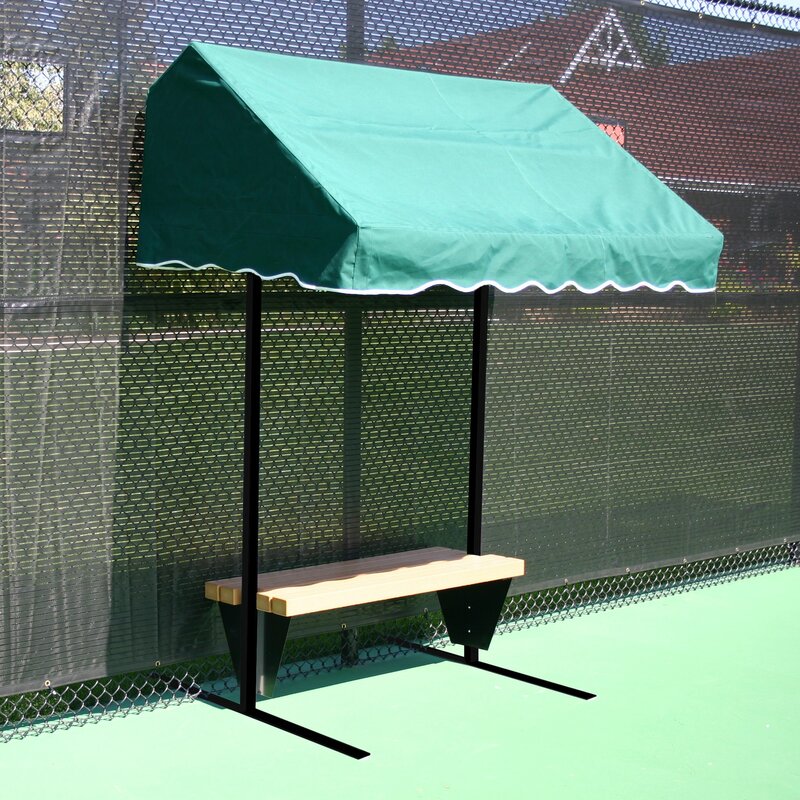 3” square heavy-guage steel frame has a black powder coat finish for ultimate protection. 6’ Cabana has a 2” square frame. 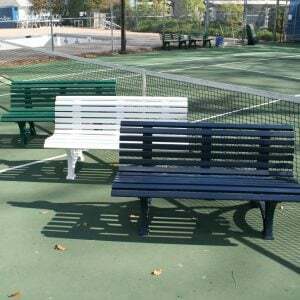 The Durawood bench is made from 3” x 4” plastic composite that is maintenance free and weather resistant. 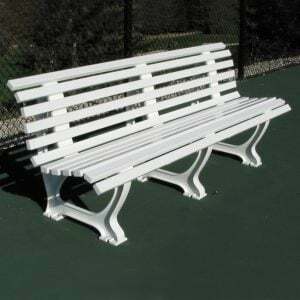 Bench is bolted and welded to the heavy-gauge steel framework to ensure a long life. 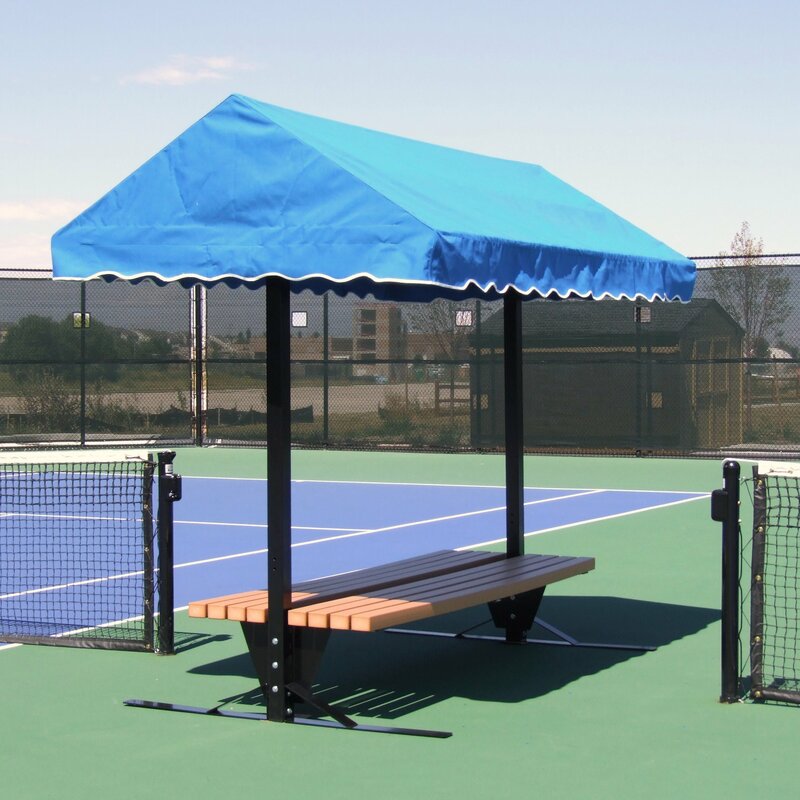 Choose from (3) possible seating configurations – single flat bench with back rest, two-sided flat bench with back rests and two-sided flat bench without back rests. 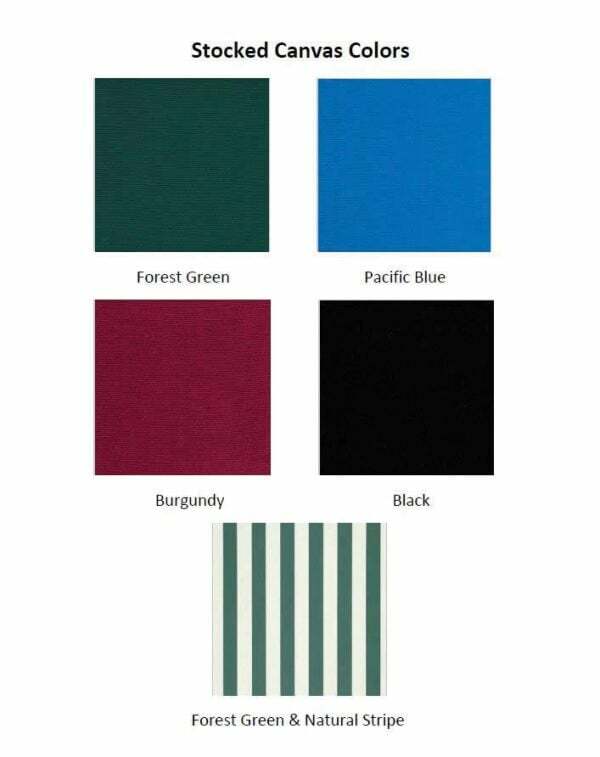 Choose from standard colors forest green, pacific blue, burgundy, black and Forest Green Stripe. Custom canvas colors and printing options are available at an additional charge. 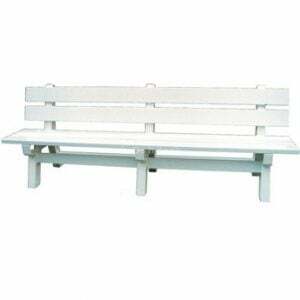 Bench can be installed “surface Mount” or “Direct Burial”. 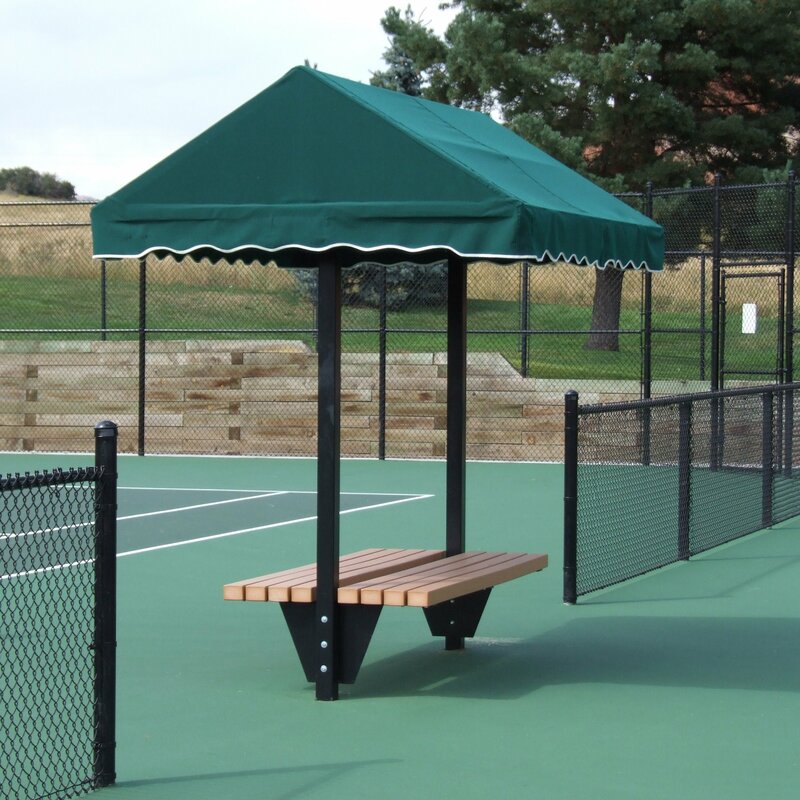 The “Surface Mount” version includes brackets that can be bolted to the surface and the “Direct Burial” method includes poles for burial within a concrete foundation. 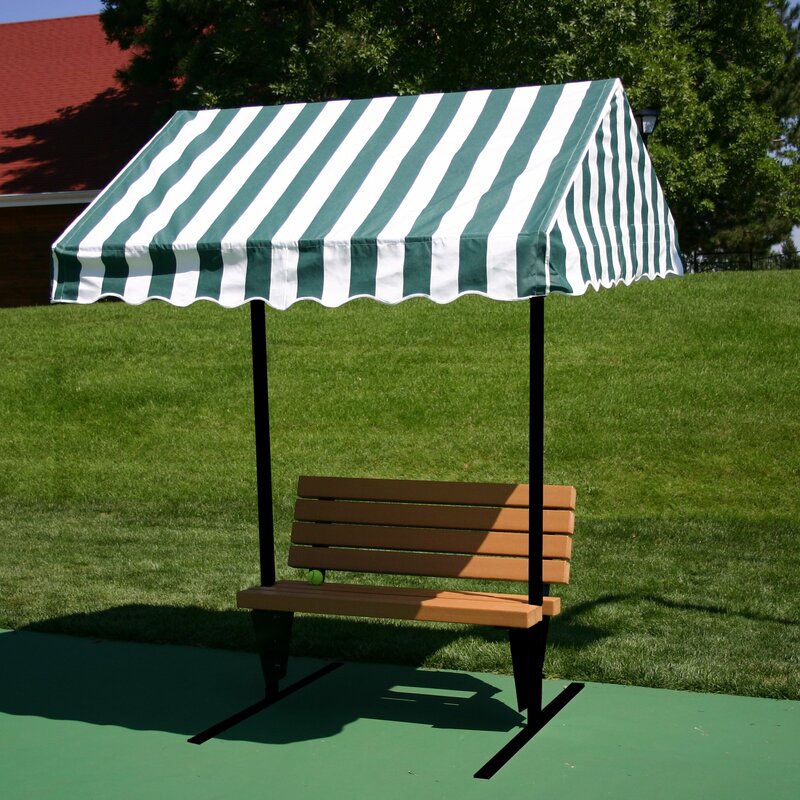 Choose from 6’, 8’ or 10’ canopy lengths. 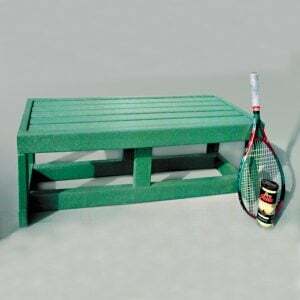 Please contact me with more information about: "Cabana Benches".